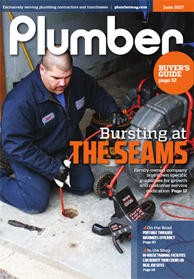 We are honored and excited to be featured on the front cover of Plumber Magazine! 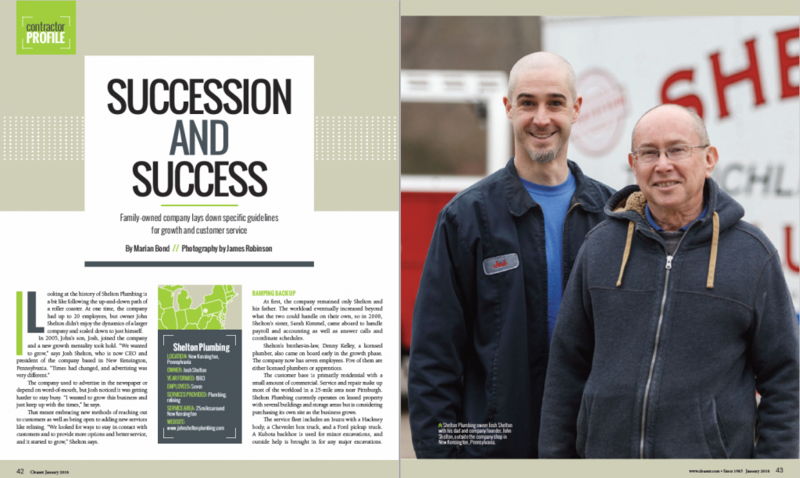 The article is in their June edition titled Bursting At The Seams and talks about the recipe that has helped us expand the size and quality of our business and our ability to put customer service at the forefront of what we do. 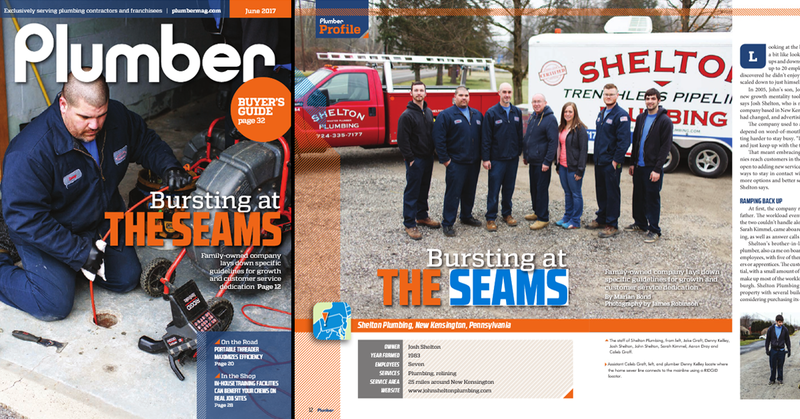 We are humbled that Plumber Magazine thought so much of our company’s story that they wanted to share it with the world as their cover story. 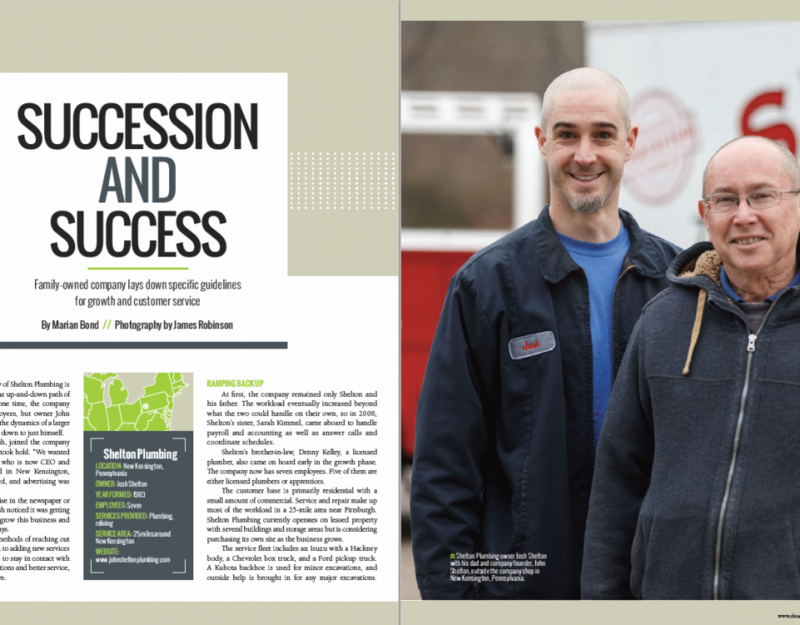 We never asked to get on the front cover of a magazine, we just spend every day trying to do the best work we can and are thankful for those whom we are able to serve. 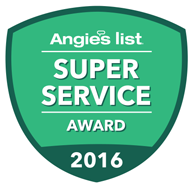 “Plumbing is not easy and we deal with all the elements. 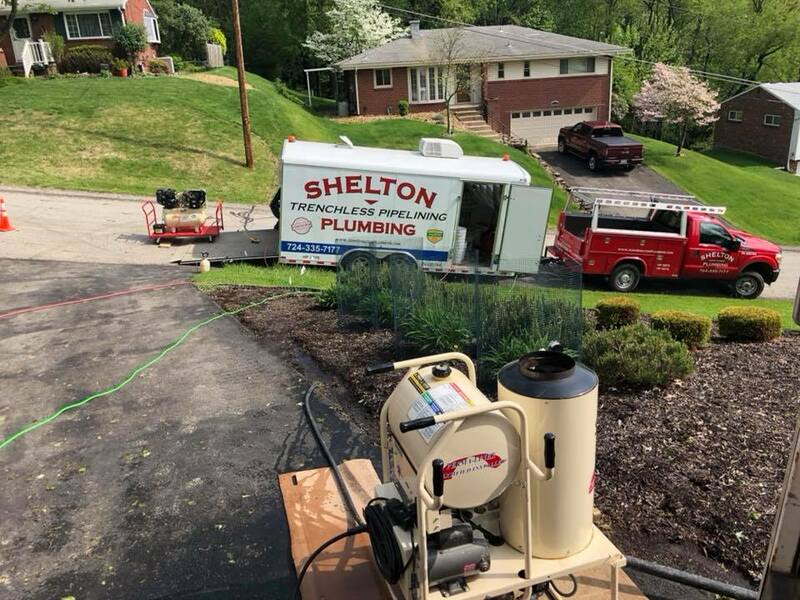 It is a messy job,” Shelton says. “People don’t often want to be dirty. This job can wear you out, which is another reason that our decision to have the weekend free for our employees and ourselves has been a benefit for all. Thank you again to everyone for your ongoing support. It has been a privilege to serve this community for almost 35 years!